President Jacob Zuma has “benefited unduly” from using state money to improve his rural residence in Nkandla, South Africa’s top corruption fighter Thuli Madonsela has said. 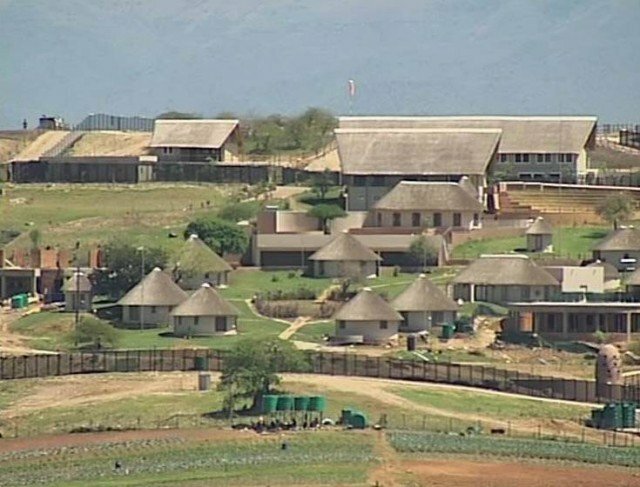 The changes to Jacob Zuma’s private home, including a pool and cattle enclosure, cost taxpayers about $23 million. In a more than 400-page report, Public Protector Thuli Madonsela accused Jacob Zuma of unethical conduct. Thuli Madonsela said that Jacob Zuma, who faces re-election in May, should repay costs for some of the unnecessary renovations. The refurbishment of the residence in Nkandla, in Jacob Zuma’s home province of KwaZulu-Natal, has turned into a major political controversy in South Africa. A government probe in December cleared Jacob Zuma, who came to office in May 2009, of any wrongdoing, saying the improvements were needed for security reasons. Correspondents say it was one of the reasons why Jacob Zuma was booed in December at the memorial service for Nelson Mandela, South Africa’s first black president. At a press conference in the capital, Pretoria, Thuli Madonsela, South Africa’s ombudsman, said the cost of the Nkandla upgrades were now estimated at 246 million rand ($23 million). The original estimate for the work in 2009 was about 27 million rand and the public protector launched her investigation in 2012 after it was reported that about 206 million rand had been spent. “The president tacitly accepted the implementation of all measures at his residence and has unduly benefited from the enormous capital investment in the non-security installations at his private residence,” the report said. The report said that while it could be “legitimately construed” that Jacob Zuma had misled parliament over the renovations, it said it was a “bona fide mistake”. “Some of these measures can be legitimately classified as unlawful and the acts involved constitute improper conduct and maladministration,” the AFP news agency quotes the report as saying. Thuli Madonsela said Jacob Zuma had 14 days to respond to her report before parliament.